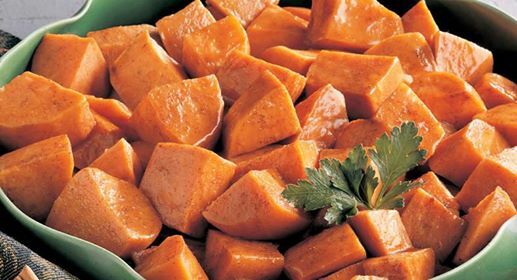 Did you know sweet potatoes are an excellent source of vitamin A (in the form of beta-carotene). They are also a very good source of vitamin C, manganese, copper, pantothenic acid, and vitamin B6. Additionally, they are a good source of potassium, dietary fiber, niacin, vitamin B1, vitamin B2, and phosphorus.